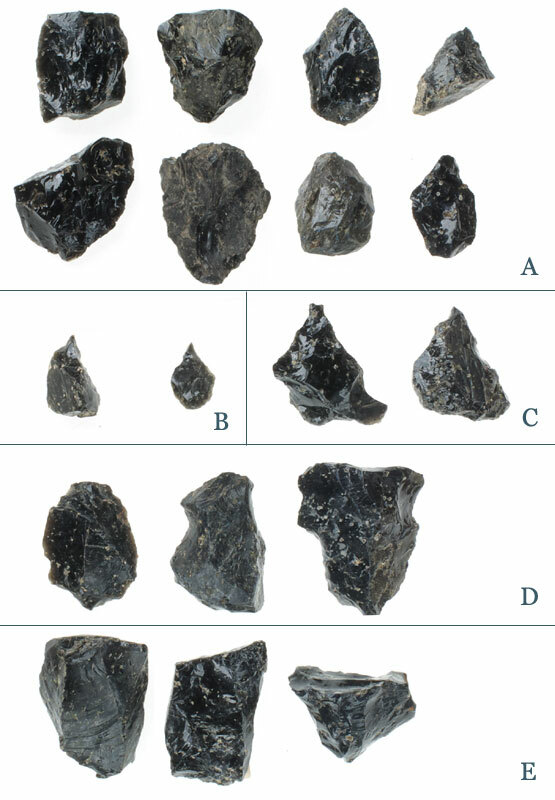 The scarcity of finished points and knife-shaped tools reflects the sites’ nature as an obsidian source. From their form, the knife-shaped tools are thought to be of the same period as the triangular cross-sectioned tools and points. Side scrapers were used in scraping tasks, and stone cores are the remaining portions of the source material, from which flakes were struck to serve as the raw material for stone tools. Artifacts recovered from the test excavation, for which the inclusion of numerous large unfinished points draws attention. 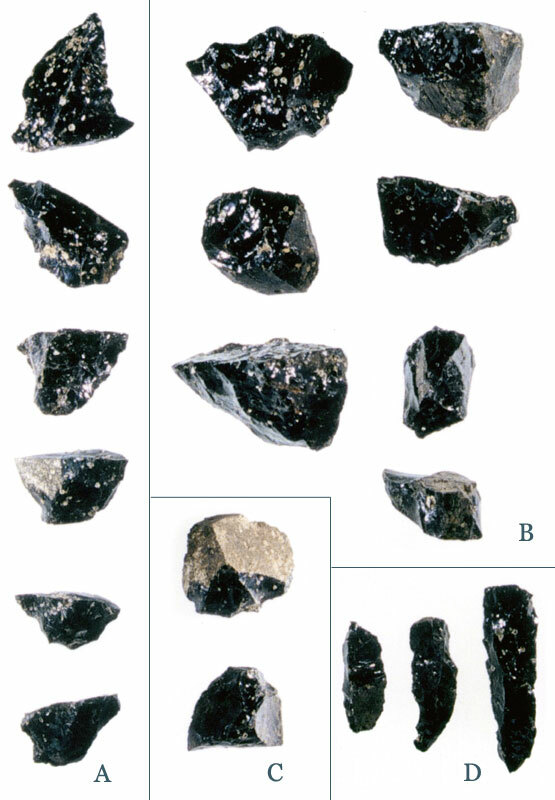 Including obsidian serving as raw material, some 4,387 stone flakes, etc. were recovered from the 0.5 meter square trench.